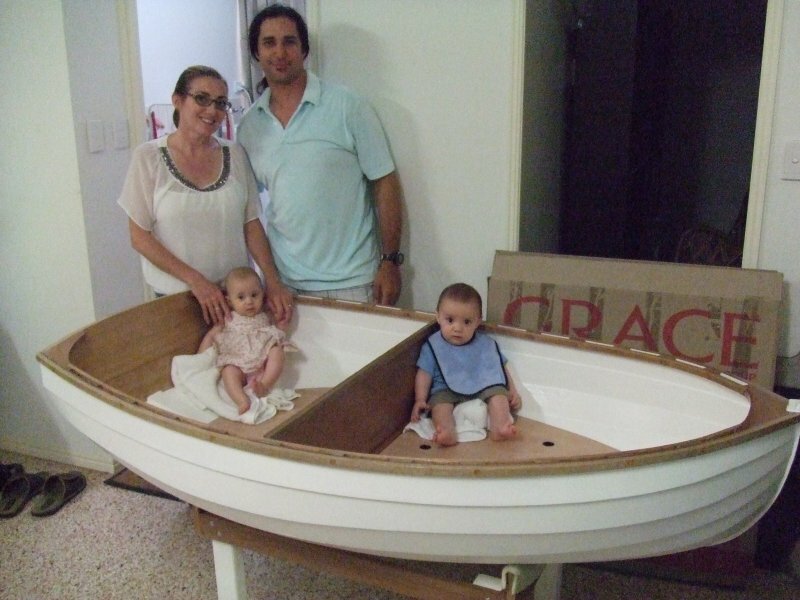 Wally Raithel built this 6′ lapstrake cradle dinghy for his twin grandchildren. The non-identical twins, William and Sophia, take turns skippering and keeping watch below. Wally plans to take the cradle back when the children have outgrown it so he can add thwarts, bottom boards, cleats, oars, and any other necessary items to make it a proper craft for the children to enjoy on the water. 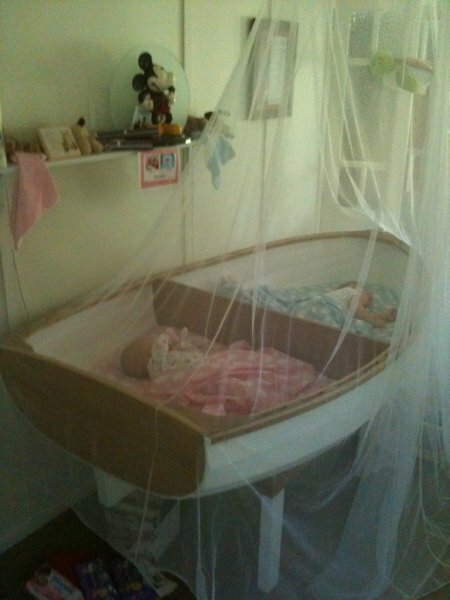 It’s evident in these pictures that that whole family, including parents Greg and Angela, love having a boat in the nursery.